There is nothing like making a card under a little bit of pressure, right? 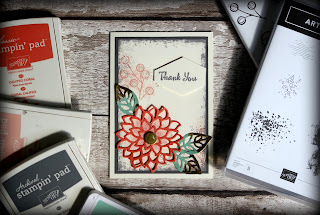 I knew I wanted to make a thank you card, I knew I wanted to use this gorgeous die from the May flowers die set (which matches falling flowers stamp set) and my new Artisan Textures that I bought. 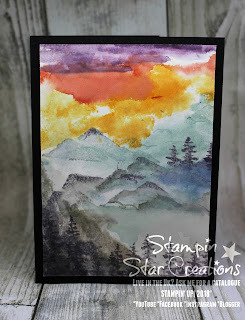 So teaming this up with a gorgoues doft palette from the Stampin Up Color Challenge over on facebook I made this. 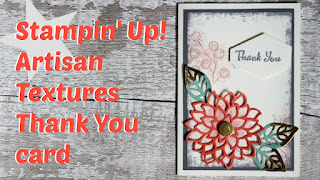 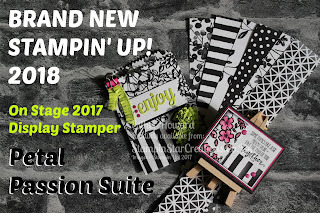 For those of you who know Stampin Up products there was a stamp set called 'Gorgeous Grunge' it was a great go to stamp set for texture and to add a grungey distressed look. 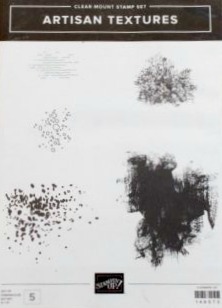 Well, I think Artisan Textures is going to be another great go to set. 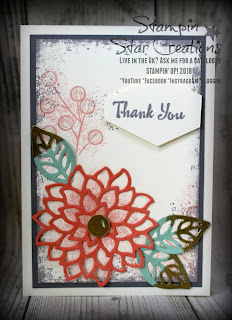 I particularly love the sponge type stamp (top right).